Valentine’s Day is here. Do you know what your partner is doing on Facebook? Come on, tell the truth. This question is for all the single people out there. What is the first thing you do today when you meet someone? Check them out on line right? Do a search for their name? Look at their Facebook page? Social media has given us a never before look at our partners or spouses. Social media has slowly but surely transformed the way we communicate and portray ourselves. While the benefits offered by social media may be overwhelmingly great for businesses and individuals alike, it is also viewed as an addictive tool that can damage natural interpersonal relationships between people. Applications like Facebook, Twitter, Instagram and others provide only a microscopic view or an imaginary version of what we actually are and what we perceive others to be. Some of the ways that social media can create stresses in relationships is when you attempt to share large amounts of information about daily, and often intimate, activities. Friends, family, partners, colleagues and acquaintances will each have their different perspectives of the postings and over a period of time, they may be misinterpreted and create rifts in your relationships. So, be careful what you post about your significant other. Social Media can also significantly affect your romantic life. Research has shown that partners intensely scrutinize each other’s social media updates and postings. The constant monitoring can wear down anyone with a slight chance of misunderstanding often flaring up with photographic evidences from social networks that in turn leads to arguments over invasion of privacy and emotional cheating. Those who are already committed to a relationship or married must be careful and discerning about whom they befriend on social media. There is always the temptation to stay connected with exes. If invitations are accepted and you engage in otherwise harmless flirting, your partner is sure to discover this documented to-and-fro sooner or later. Moreover, they could also find some incriminating information about your past which could very well lead to further conflicts and eventual breakups. People tend to use social media to vent their frustrations in personal life. This only serves to hurt existing relationships while destroying any sense of trust that still remain. Newly married couples have a tendency to go overboard by posting a whole lot of personal information about their relationship. When it concerns both the partners, it is always better to consult before sharing any personal information online. Recent studies indicate that divorce attorneys in the US consider Facebook as the primary online resource for case evidence with the trend increasing over the past five years. Social networking could affect your friendships as it does not offer any room for privacy. Your digital friends could tag you in illicit activities online, post your images without approval, engage in cyber bullying and do stuff that makes your public profile look truly unprofessional. Parents, teachers and guardians are also well aware of the activities of their kids on social media. This could cause frictions at home and school. Parents today need to educate their children on how to make the best use of the social networking platforms with clear guidelines. People need to become more mature in their choice of language, expression and conduct while using social media. Although interactions are shaped by available technologies, face-to-face discussions are still the time-tested method of communication that allows us to easily build trust, clearly share ideas and minimize misunderstandings. So, try befriending someone in person for a longer lasting and more fulfilling relationship. But before I go, here is a list of funny facebook breakups and other fun stuff for you to enjoy! 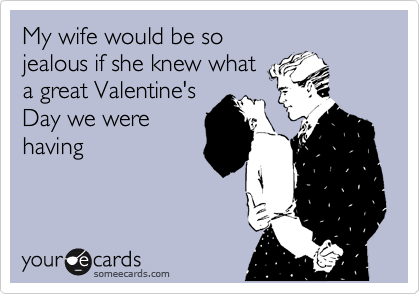 Oh, and by the way, to my wonderful Husband Tom Coleman and the rest of my friends and family…Happy Valentines day!